The story isn't finished yet. 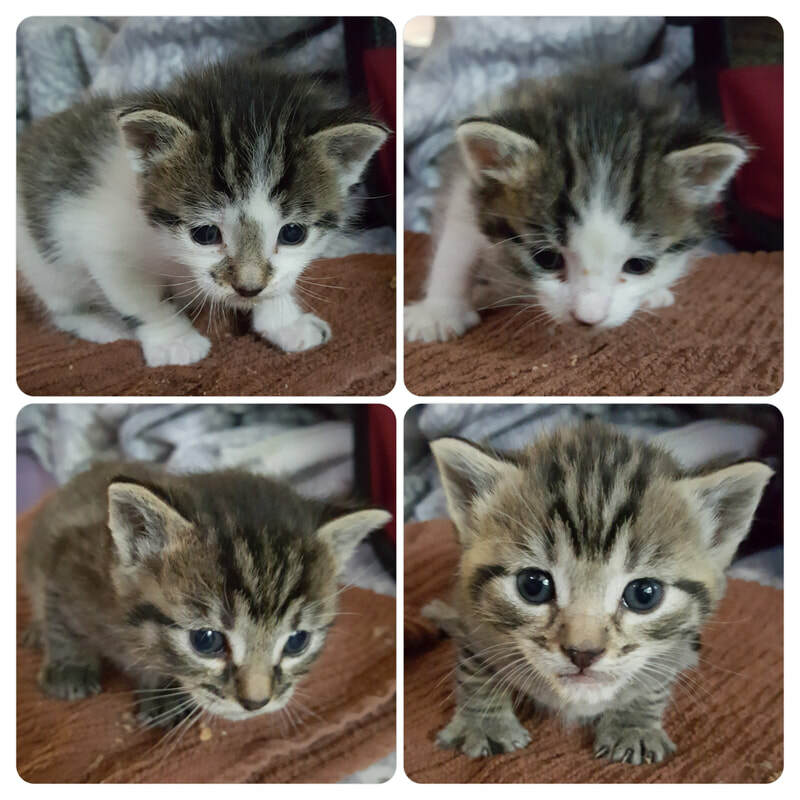 These are the kittens I am fostering right now... So as fun things come up I will add them to this page. So come back often, or sign up for my bi-monthly newsletter at the bottom of this page, and don't miss a thing! I am greeted by these noisy kittens in the most amusing way. Check it out on the video. At this age, about 3-4 weeks old, they are very wiggly. So, it was much easier to get a photo of each one and then combine them in the photo. If you notice, they are all looking down...their heads are so big compared to their little bodies, that they have to work hard to keep them up. By the way, I took these photos at an "up angle" and below them just to be able to see their cute little faces. Wow, what a change in about a week. 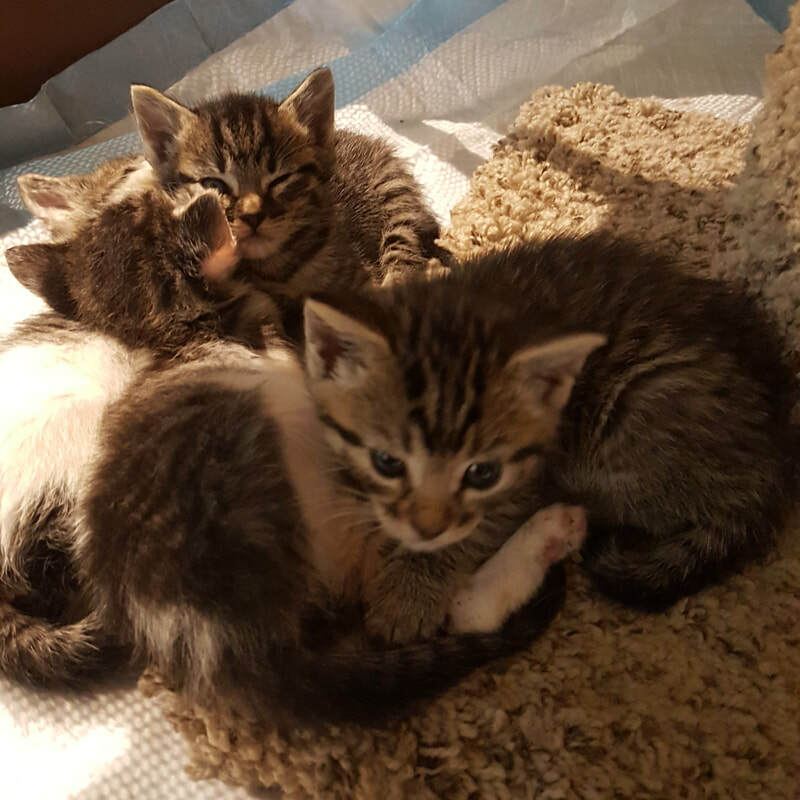 Here are my 4 little foster kittens snuggled up for a nap. One of the cutest things about fostering a litter of 4 is that they are a little "club" and do everything together. Each one still has a very distinct personality, but if one kitten does something, slowly everyone else shows up to join them. It is very cute to watch. Of course, snuggling up together is still one of their favorite things to do.